Hi! 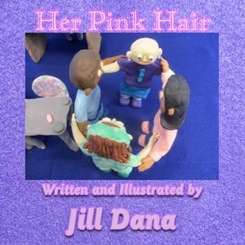 I’m Jill Dana, Author/Illustrator of HER PINK HAIR and HER BROWN HAIR. This page is currently under construction, but please take a look around. New sketches are added often. All images on this site may not be copied or reproduced in any form without written permission. 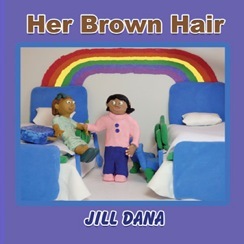 This will be the future home of information/links/activities relating to the books of author/illustrator Jill Dana! 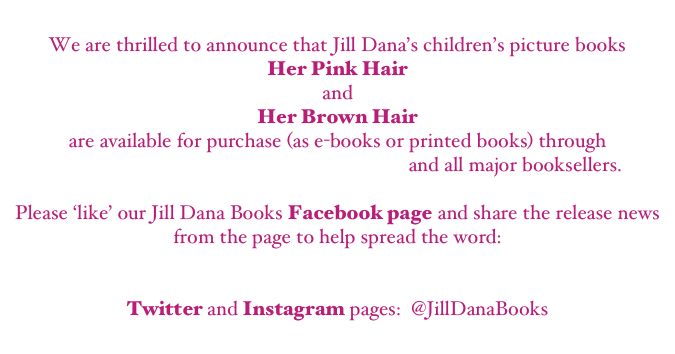 If you have any questions while we are working on the new website, please email us at info@jilldanabooks.com.